"The pictures were painted directly through me, without any preliminary drawings, and with great force. I had no idea what the paintings were supposed to depict; nevertheless I worked swiftly and surely, without changing a single brush stroke." Paradoxically delicate and powerful, the art of Hilma af Klint quietly and privately delivers a loud and essential message. Creating abstract canvases five years prior to the first by Wassily Kandinsky, and experimenting with writing and drawing guided by the unconscious decades before the Surrealists, the woman was a pioneer. Described as a mystic and a medium, af Klint conducted séances and communicated with spirits, even receiving a message from higher forces to create her most notable, devotional body of work, Paintings for the Temple. Yet, af Klint's sensitivity surrounding the ethereal was married to an analytical and scientific way of navigating the world. 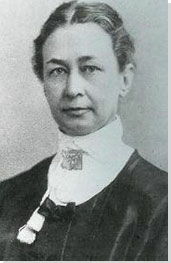 She was an eager botanist, well read in natural sciences and in world religions. With unsurpassed wisdom and in anticipation of human foolishness, not only did af Klint state that her work was not to be shown for 20 years following her death, but she also stipulated that no work could be sold separately, ensuring that her artworks could not become misunderstood commodities. In stark contrast to other pioneers of 20th century abstraction, af Klint worked away from the art world, without publishing manifestoes or participating in exhibitions. Despite her relative isolation she arrived at similar conclusions therefore questioning the need for audience and outward influences in the development of an artistic style. It is a great achievement to become a 'big name' having followed an inward path. Af Klint's combination of geometry, figuration, symbolism, language, scientific research, and religion not only establishes her as a forerunner in abstract art, but also exposes her work as significant in the broadest of artistic terms. Her route to abstraction drew not only from an interest in mathematics but also from her studies of organic growth, including shells and flowers, all culminating to portray life through a spiritual lens. The title for the artist's most important body of work, Paintings for the Temple is significant. It suggests that the canvases require a specific architectural 'home' and that they are designed to help viewers transcend beyond mortal and earthy realms. Af Klint does not make reference to any particular religion, (hence she does not use the word church, synagogue, or mosque) but instead aspires to build a 'temple', a universal place of worship dedicated to seeking balance through the union of opposites. As a researcher, she worked in series, and as a linguist, she had her own language. This is perhaps true of many artists, but af Klint made this obvious, and therefore de-mystifed the process and role of 'being an artist' and in turn making the language of art more accessible. She explains in detail what her individual symbols mean in notebooks that accompany her paintings. Aside from the Primordial Chaos series, af Klint's paintings are typically very large. This is unusual for a female artist and recalls the heroism and masculinity of the later Abstract Expressionists. Grand scale better conveys the vast and epic powers of nature and the tone of connectivity found in the endless pattern dots by aboriginal artists. The delay in this artist's emergence raises questions surrounding the authority of 'art history'. We start to wonder if artists interested in self-promotion and audience response are likely to be woven into a trajectory more quickly than figures who, like af Klint, remain private, have no need for public acknowledgement, and yet remain hugely important to the same history of art. 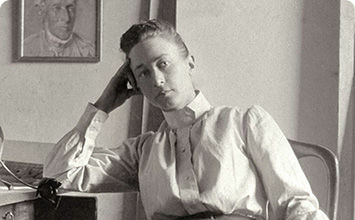 Hilma af Klint was born in 1862, in Solna, Sweden, as the fourth of five children of a Protestant couple, Mathilda af Klint and Victor af Klint who was an admiral and a mathematician. Most of her childhood was spent in Karlberg castle, the naval academy where her father was based. During the summer, the family would move to Hanmora, in Adelso, an island in Lake Malaren, where Hilma's fascination with nature and organic life began. Interactive chart with Hilma af Klint's main influences, and the people and ideas that the artist influenced in turn. First published on 05 Dec 2017. Updated and modified regularly.